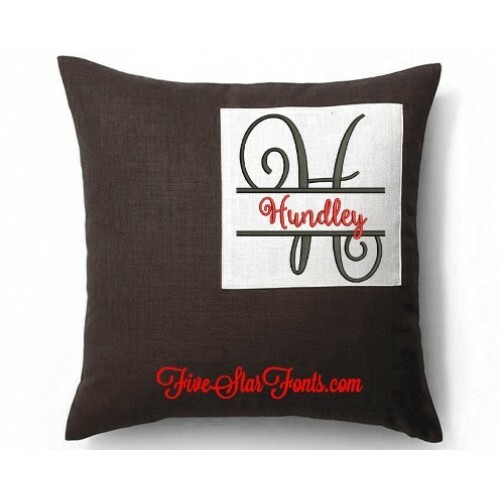 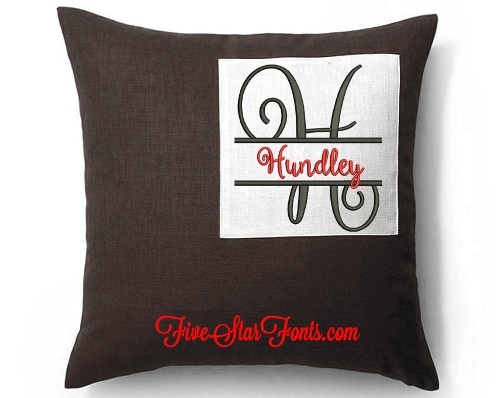 We used our 'Always and Forever Font' (aka Ballerina Font) for Hundley name above. 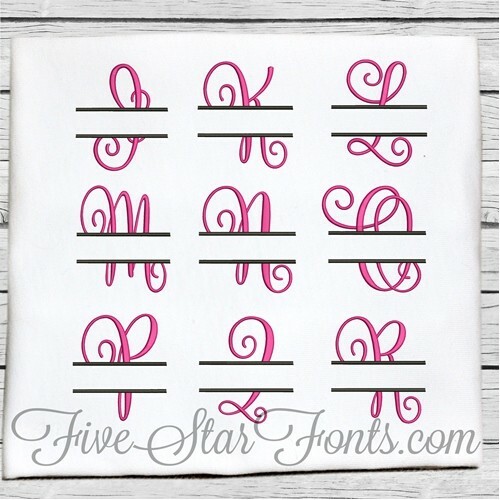 It is not included with these split monograms but you can find the link to it in 'Related Products' above. 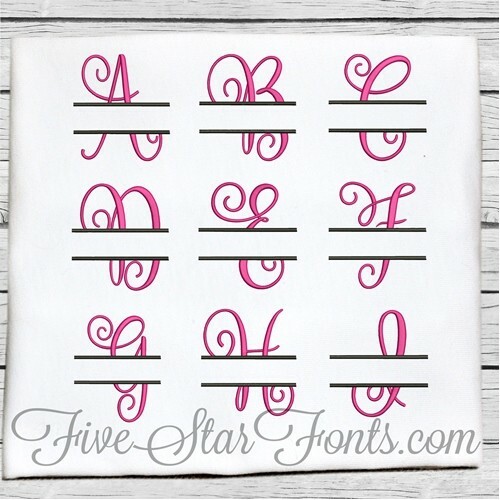 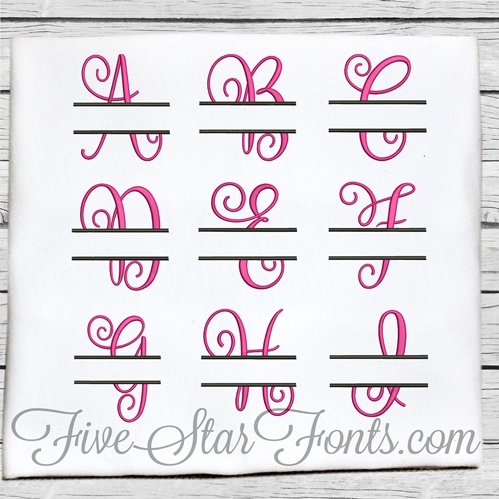 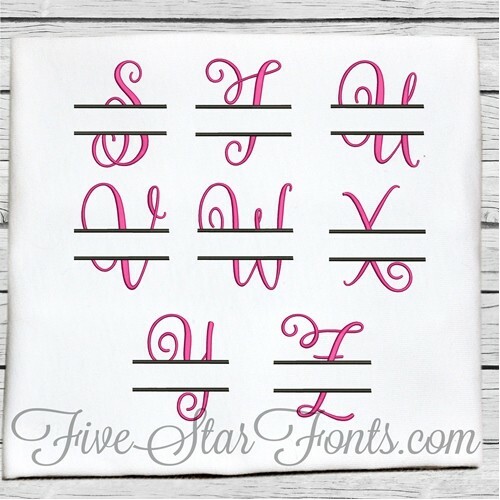 I love split designs and this pretty font is perfect for split monogramming. 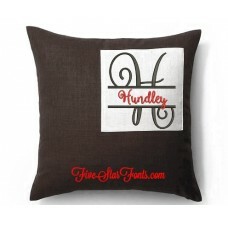 Digitized with 2 colors or you can stitch it all in one color if you prefer.